I wore my wedding dress for the last time (in public) on Friday. Now it just stares at me with a longing look every time I go into my closet. It's hanging near where I sit and do my makeup every morning, and I can't help but stare back at it with the same longing look. It is just so dang gorgeous. I love it. I want to wear it again. It has me seriously thinking about hosting a 'once a bride, always a bride' party. Or something along those lines that's equally as weird. 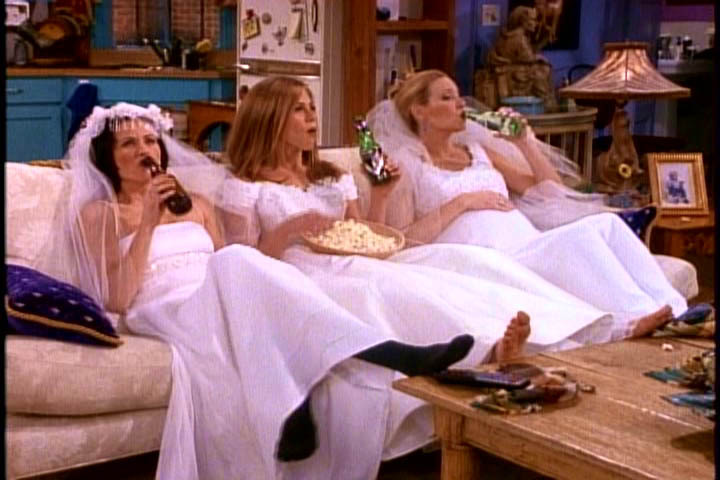 I can just imagine how unbelievably fun it would be to gather a bunch of girlfriends and hang out in our wedding gowns, à la Rachel, Monica, and Phoebe on Friends. 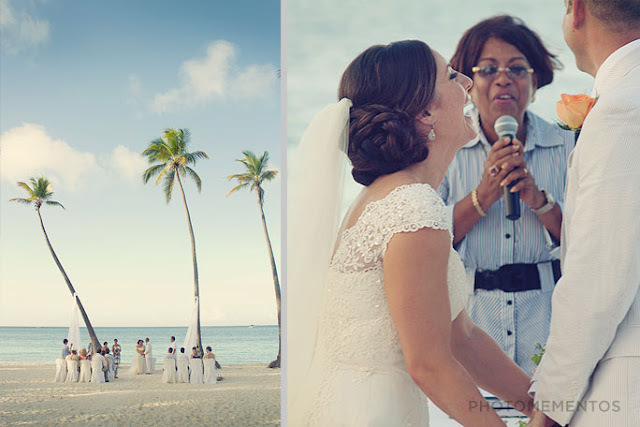 I'm also incredibly in love with the vows that we wrote and exchanged at our ceremony on the beach in Punta Cana. In an attempt to deal with the post-wedding blues and stretch out the excitement as long as possible, I thought I'd share them with you. They were heavily inspired by Katie, over at the Neo-Traditionalist. You'll see that their vows and our vows are extremely similar. We inserted ourselves into these, but those two just had such a great thing going that we kept the foundation in tact. Do you vow to be my wife? I do. Do you vow to be my husband? LOVE your vows! We did this same kind of thing. And, ok, I admit that I sometimes open my closet just to look at my wedding dress. And that episode of Friends passes through my mind at least once per week. I won't tell if you won't tell. :) Your pics are gorgeous! i totally hear you! i got married over three months ago + my wedding dress is still hanging up, out in one of our rooms. i know i'm supposed to get it preserved or something, but i just want to put it on + romp around in it. you looked lovely + the vows are beautiful. glad i stumbled across your blog! Wow! Absolutely beautiful! You, the dress, the scenery, your hubby! Wow!! you're too sweet! thank you. ok, i don't mean to be creepy. (wait. yes, i do.) but can i invite myself to the bride party, too?! i've been dying to wear my wedding dress again (it's been over four years! ), and i think your party idea sounds amazing!! !